Historic Site Preservation - parks, memorials, monuments. 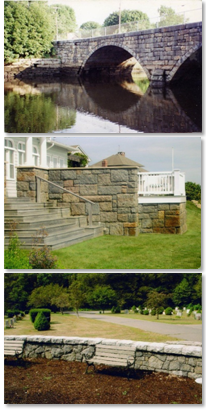 Historic Site Restoration - masonry services, septic systems, site development. Landscaping - residential and commercial, landscape design, and planning. Our commitment to preserving some of the area's most beautiful and historically significant sites and structures has earned us the reputation as the best preservation service in the area. Our commitment to keeping historical sites in tact has earned us the reputation as the best restoration service in the area. We work with Under Pressure Construction on most of our restoration jobs. Our commitment to providing customers with beautiful and functional spaces has earned us the reputation as the best landscaping contractor in the area. We've gone green! All of our materials are environmentally friendly. Earthworks Constructors, Inc is a fully licensed and insured contractor. We are in excellent standing with our customers. Our employees are skilled, hard-working, friendly professionals. They love what they do, and they strive for ever-increasing customer satisfaction. Our goal is to determine and implement the right solution for each customer. We strive to provide fast and friendly services with the highest level of attention to detail.